I’ve got this tiny IKEA desk in my home office. I’ve never put a monitor there because I’d have no room to put anything else on my desk if I did. 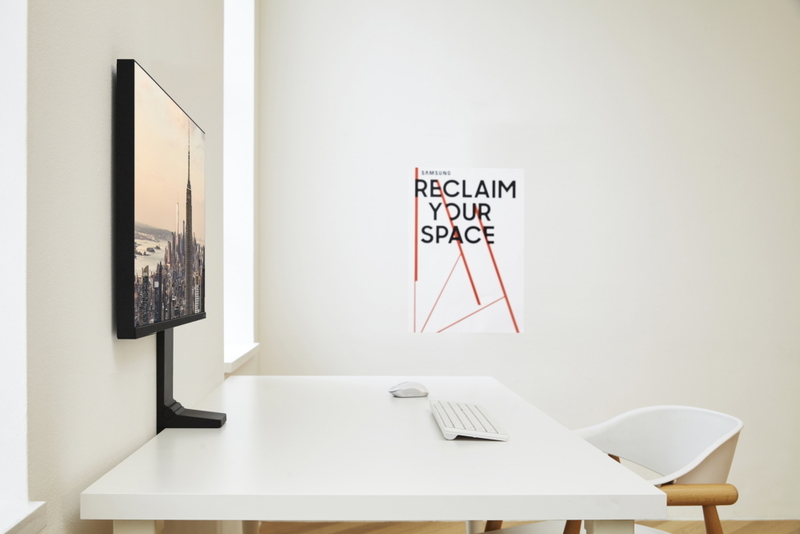 The Samsung Space Monitor, announced at CES 2019, seems to be the solution to get an elegant looking screen and save desk space when you need to. What is the Samsung Space Monitor? This new monitor comes in a 27″ or 32″ version and features a clamp you attach to the back of your desk. The robust supporting arm allows you to pull the monitor towards you or push it back against the wall. The monitor arm is very versatile and flexible so you’re guaranteed to have your monitor in a place that’s comfortable for working. Next to this, the cables are easily tucked away inside the arm so everything remains tidy in your workplace. 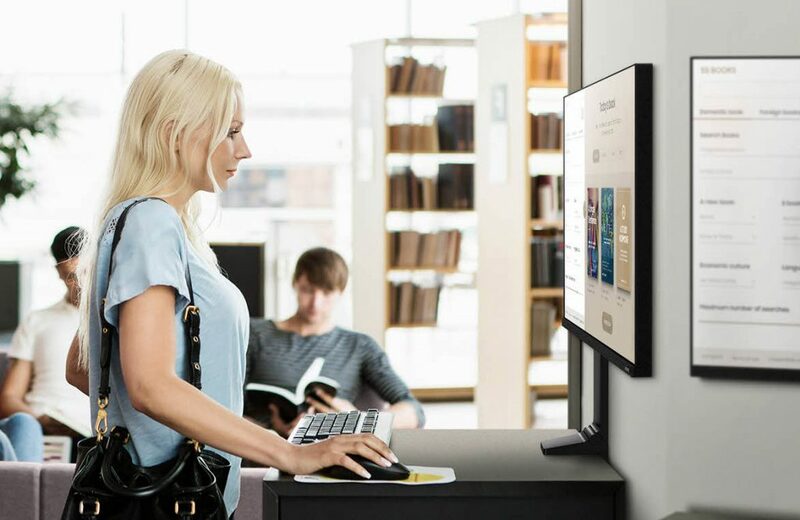 Where can I get the Samsung Space Monitor? The new Samsung Space monitor is now available for pre-order. The 27″ version sports sharp QHD, while the 32″ version is an UHD 4K monitor. The monitors are scheduled to be released on February 23, 2019. Place your pre-order via the link below.